spy v. spied, spying 1 watch closely and secretly 2 see –n. pl. spies one who spies, esp. to get another country’s secrets. We play this game as children. Something is spied—a red shoe, a green tree, a gray button—and then must be discovered. We get a hint. We guess. We get a hint. We’re getting warmer. We’re getting oooh, ice cold. We want to get it right. We want to know what our playmate was thinking. We want to see the same thing they saw. We learn the tremendous power of observation. “I Spy” is excellent training ground for our creativity. We learn how keen our notice can be. We learn how to scrutinize and select. When we are the spier, we have to pick objects that will be harder and harder to guess. When we are the guesser, we must uncover the tiny details our playmates have decided upon. We learn to discern between shades of the same color (is something lemon yellow or mustard yellow?). We learn how to read those around us (what objects would he pick?). We learn to be persistent, when we have guessed and guessed and still haven’t guessed right. 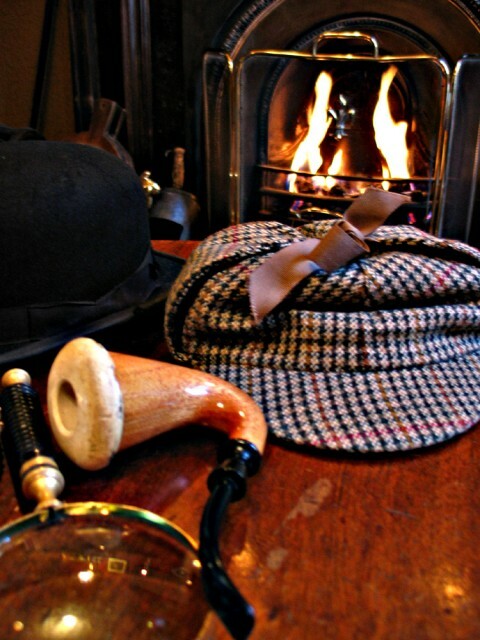 I used to love reading mysteries when I was younger: Nancy Drew and Sherlock Holmes and R.L. Stine. When I was a little older, I read Mary Higgins Clark insatiably. What I loved about mysteries was how they hinged on one small detail. This detail had been there the whole time, for the detectives and the reader to see, but we hadn’t seen it, not until that dramatic moment when we did. And that tiny detail is what made everything make sense. We now knew who did it. We knew the motivation. We knew what needed to be done. Justice = served. However, the same attention to detail that can make writing come alive can be self destructive when applied to our lives. These mysteries can be so satisfying because they offer a resolution we don’t always get in life. As we grow up and become grown ups, we employ the same level of curiosity except with an intensity rooted in a desire for perfection rather than a need for play. We can look and look and look at the details of our lives: scrutinizing our choices, making pro and con lists, charting out graphs, asking friends for advice, weighing and measuring and weighing again. Sometimes, this can help. Sometimes, however, we are applying this attention to detail in an attempt to excavate ourselves from a hole of uncertainly. And it just doesn’t work. We flood ourselves with details. We guess and second guess. We don’t know which details are the most important. We have too many to measure. I had a co-worker once who told me that on his Sunday, he had cleaned his house, including making sure all of the screws in the outlet covers were facing in the same direction, vertically. That detail stuck with me, I guess, because it gave me insights into him, into myself, into our differences. There are times when details are very important to me—for example, when planning what to wear for a special event, when selecting or making a gift for a friend—and there are times when I couldn’t care less, as with the direction of the screws on my outlet covers (or, as is true for me now, whether to replace a broken outlet cover). When I find myself spying all the details and becoming mired in them, I know I have lost the bigger picture. The same attention to detail that serves us in making quality choices can also be our undoing if we can’t let them go. We can make sure our home is in perfect order, that our dishes are clean and stacked, that all our files are labeled and catalogued, that our clothes are put away neatly in our closets, but sometimes we do these things not for sheer tidiness but to produce an illusion of control. We will all experience discomfort. We will all suffer. We will all die someday. And our attention to detail will not save us from these things. On the contrary, they may give us a false illusion of safety that will backfire when we face obstacles. I think one key is allowing ourselves to observe details in a way that makes us liberated instead of entrapped. Can we notice the details of what makes our lives rich and full at least as much if not more than we notice the details that complicate our lives or challenge us? Can we pay attention all the time instead of just when we are stressed out? Can we allow observation to be the pleasure it can be instead of a chore? Can we investigate and spy without the intensity of needing one definitive answer? A few things I spied today: my little black-and-white dog curled up in the comforter; the sun cascading white light through the curtains; a string of mala beads, brown joined with red thread; the red light blinking; a long row of beige tables lined up with a place-setting of papers at each seat; maple and sprinkled donuts on a platter; canary yellow pineapple and strawberries and blueberries in a bowl; a light blue dress with a white pattern; a tattoo of red roses; turquoise bangs; the round marbled body of a banjo; a blue pocket dictionary with white lettering; a blue and black hummingbird floating mid-air just beside me before skirting off to a new destination; an orange and black butterfly coasting just in front of me; two white-haired ladies, one wearing mustard jeans, chatting at a black table over two cups of coffee; a red, green, and gold box with this quote inside: “Happiness leads none of us by the same route”; blue pieces of paper folded inside the box; a white napkin holding a handful of purple grapes, a piece of dark chocolate, a tortilla chip with guacamole, and an oreo cookie; a blue sofa; the yellow and white reflection of the ceiling fan in the glass of the picture frame holding a red and orange and black painting of ships at sea.